- Univision (January 27, 2018). We are going to Mexico today. Country that is generally mentioned for its violence, its narcotics traffickers, its wild immigration to the US, and now its difficult relationship with the Trump Administration. Not all of this will be the case, but relations between Mexico City and Moscow and Russia’s irruption into the US-Mexico relationship. Nous allons aujourd’hui au Mexique. Pays que l’on évoque généralement pour sa violence, ses narco-traficants, son immigration sauvage vers les USA, et maintenant ses rapports difficiles avec l’Administration Trump. Ce n’est pas de tout ceci qu’il s’agira, mais des relations entre Mexico et Moscou et de l’irruption de la Russie dans la relation américano-mexicaine. Déjà Napoléon III avait visé avec l’Empire du Mexique de Maximilien, création géopolitique française, à barrer la route à l’impérialisme de Washington qui s’accomplissait dans la Guerre de Sécession et l’écrasement du Sud rival. Loin du « Napoléon le petit » caricaturé par le grand Victor Hugo, l’empereur des Français était un visionnaire avec une pensée géopolitique européenne et Mondiale. Plus près de nous, pendant la Guerre 1914-18, Berlin avait esquissé la même politique, avec le fameux « Mémorandum Zimmerman » (qui pesa lourd dans l’entrée en guerre des USA en 1917. Voilà l’idée qui s’inscrit dans la « nouvelle grande géopolitique mondiale » du Kremlin ! Already Napoleon III had aimed with Maximilian’s Empire of Mexico (2), a French geopolitical creation, to block the road to the imperialism of Washington which was fulfilled in the American Civil War and the crushing of the rival South. Far from the « Napoleon the little » caricatured by the great Victor Hugo, the French Emperor was a visionary with a European and World geopolitical view. Closer to us, during the 1914-18 War, Berlin had outlined the same policy, with the famous « Zimmerman Memorandum » (3) (which weighed heavily in the US entry into the war in 1917. This is now the idea of ​​the Kremlin’s « great new world geopolitics »! 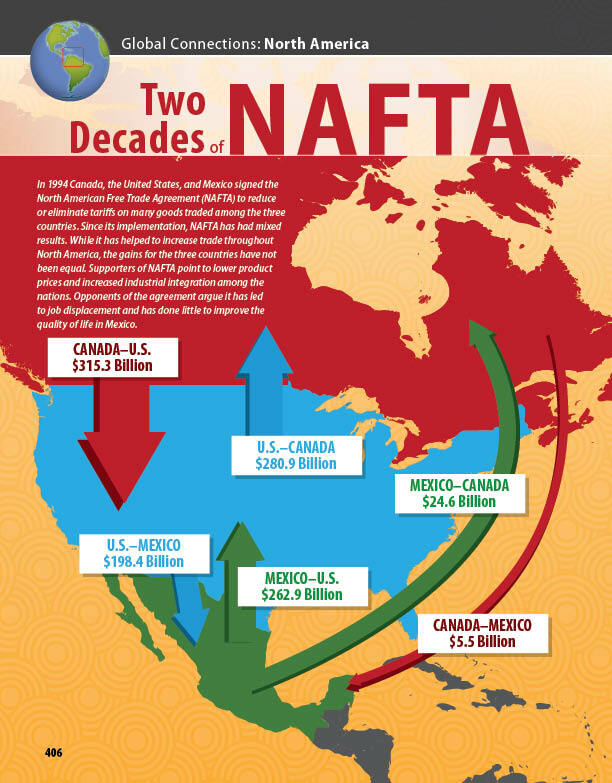 The policies of Bush II and Obama, which aimed at creating a North American Continental bloc with NAFTA (5), were defusing this dispute. The Bush are Spanish speakers, whose electoral base is Texas, with a Latin electorate (The little brother Jeb Bush being married to a Spanish, which cost him the republican candidacy in 2016). The American Spanish-language media outlet ‘Univision’ published on January 27, 2018 an article, titled « Russia Quadruples its investments in Mexico at a time when the U.S. are planning to raise walls » noting that Russian investment in Mexico grew by more than 400% during the Mexican President Enrique Peña Nieto’s government. ‘Unionvision’ reported that during the government of Enrique Peña Nieto (EPN), “the Russians allocated 14.4 million dollars to Mexico, a small amount compared to the capitals invested by other nations; however, these transactions marked an unprecedented rapprochement between the Kremlin and Los Pinos” (the president’s official residence). Prior to EPN, “Russian investments to Mexico were almost nonexistent and they passed unnoticed in the media. However, the Russia-Mexico relations gained particular relevance since the U.S. is threatening to exit the North American Free Trade Agreement (NAFTA) pushing the Mexican government to look for new trade partners worldwide”. Nevertheless, “the declarations by the US official raised some speculations” in the direction of the leftist presidential candidate Andrés Manuel López Obrador, who, in past elections and during a dirty campaign, had been associated with the Venezuelan Hugo Chavez and his successor Nicolas Maduro (both of whom expanded ties with Russia). The Reuters agency, citing analysts, suggested that “López Obrador is Russia’s favorite, given the positive coverage that he received from Russian mouthpieces such as Sputnik and Russia Today”. The Mexican journalist León Krauze, in a column published in the daily “El Universal”, stressed that “a U.S. Senate report analyzed Russia’s strategy of influencing elections throughout the world, mainly in vulnerable countries ». « The electoral authorities and other players of Mexican public life, must henceforth keep their eyes wide open in order to detect traces of the methods described in detail, by the US Senate report » commented the journalist. The Washington Post published an article, signed by Frida Ghitis, predicting that « if López Obrador wins, Putin will have a reason to smile with satisfaction. This is due to the fact that López Obrador would not be good news for the U.S. » « All of a sudden, Mexico is being pressed both by the US of president Trump and by Vladimir Putin’s Russia, who have diverging interests but who, ironically, are both contributing to the same electoral result », stated Ghitis’ article. 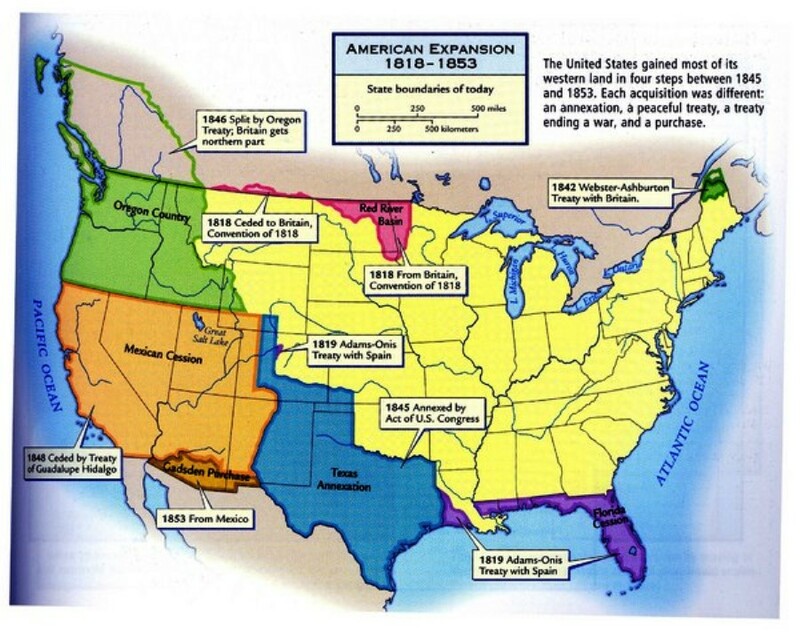 (1) The Monroe Doctrine was a United States policy of opposing European colonialism in the Americas beginning in 1823. It stated that further efforts by European nations to take control of any independent state in North or South America would be viewed as « the manifestation of an unfriendly disposition toward the United States. » At the same time, the doctrine noted that the U.S. would recognize and not interfere with existing European colonies nor meddle in the internal concerns of European countries. The Doctrine was issued on December 2, 1823 at a time when nearly all Latin American colonies of Spain and Portugal had achieved, or were at the point of gaining, independence from the Portuguese and Spanish Empires. The slogan “Americato the Americans” really means “America to the North-American yankees”! (2) Maximilian I (prince of Habsbourg) was the only monarch of the Second Mexican Empire. He was a younger brother of the Austrian emperor Francis Joseph I. After a distinguished career in the Austrian Navy, he accepted an offer by Napoleon III of France to rule Mexico. 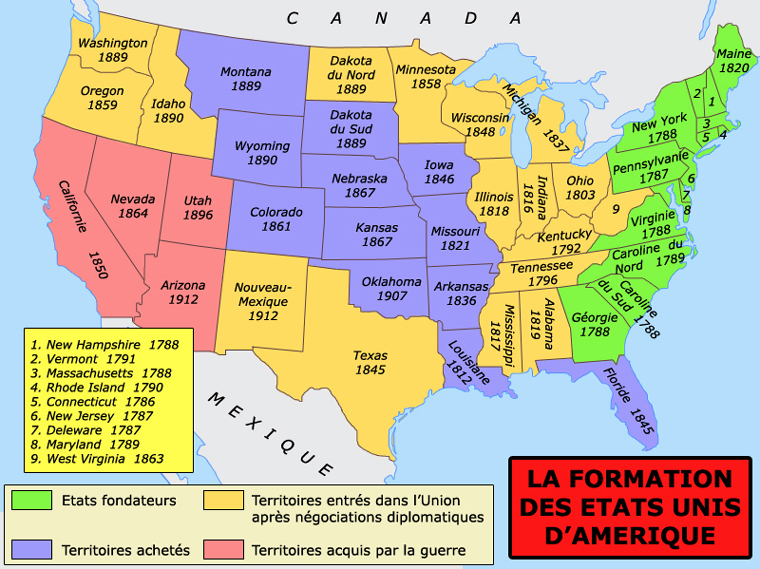 France (along with the United Kingdom and Spain, who both withdrew the following year after negotiating agreements with Mexico’s democratic government) had invaded the Mexican Republic in the winter of 1861, as part of the War of the French Intervention. Seeking to legitimize French rule in the Americas, Napoleon III invited Maximilian to establish a new Mexican monarchy for him. With the support of the French army, and a group of conservative Mexican monarchists hostile to the liberal administration of new Mexican President Benito Juárez, Maximilian traveled to Mexico. Once there, he declared himself Emperor of Mexico on 10 April 1864. The Empire managed to gain recognition by major European powers including Britain, Austria, and Prussia, france andthe new Belgium. The United States however, continued to recognize Juárez as the legal president of Mexico. Maximilian never completely defeated the Mexican Republic; Republican forces led by President Benito Juárez continued to be active during Maximilian’s rule. With the end of the American Civil War in 1865, the United States (which had been too distracted by its own civil war to confront the Europeans’ 1861 invasion of what it considered to be its sphere of influence) began more explicit aid of President Juárez’s forces. Matters worsened for Maximilian after the French armies withdrew from Mexico in 1866. His self-declared empire collapsed, and he was captured and executed by the Mexican government in 1867. (3) The Zimmermann Telegram (or Zimmermann Note or Zimmerman Cable) was a secret diplomatic communication issued from the German Foreign Office in January 1917 that proposed a military alliance between Germany and Mexico in the prior event of the United States entering World War I against Germany. Mexico would recover Texas, Arizona, and New Mexico. The proposal was intercepted and decoded by British intelligence. Revelation of the contents enraged American public opinion, especially after the German Foreign Secretary Arthur Zimmermann publicly admitted the telegram was genuine on March 3, and helped generate support for the United States declaration of war on Germany in April. (4) In the early 80′s, THIRIART founded with José QUADRADO COSTA and myself the “Euro-Soviet School of geopolitics » where we advocated a continental unification from Vladivostok to Reykjavik on the theme of « the Euro-Soviet Empire » and based on geopolitical criteria. Theorist of unitarian Europe, THIRIART has been extensively studied in the United States, where academic institutions such as the Hoover Institute or the Ambassador College (Pasadena) have archival funds relating to it. It is his « returned » anti-American theses that BRZEZINSKI largely takes up, defining for the benefit of the US what THIRIART conceived for continental Eurasian unity. * Russian version: Жозе КУАДРАДО КОСТА, Люк МИШЕЛЬ и Жан ТИРИАР, ЕВРО-СОВЕТСКИЕ ТЕКСТЫ, Ed. MACHIAVEL, 2 vols., Charleroi, 1984. This collection of texts was published in French, Dutch, Spanish, Italian, English and Russian. * And: Жан ТИРИАР, «Евро-советская империя от Владивостока до Дублина», in ЗАВТРА ЛИ ТРЕТЬЯ МИРОВАЯ ВОЙНА? КТО УГРОЖАЕТ МИРУ?, Special issue in Russian language of the review CONSCIENCE EUROPEENNE, Charleroi, special issue, December 1984.